International Agency for players and coaches all around the world. Diamond Sports is an international agency who represents players all around the world. 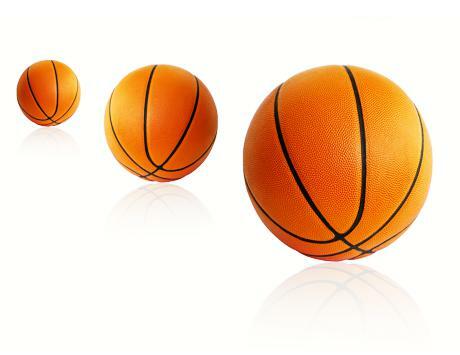 Our agency offers representation to basketball players and coaches in all majors markets, including Greece, Italy, Spain, Russia, Belgium, Germany and various other countries throughout the globe. We are here to help players and coaches take their careers to new heights by providing individual attention to their specific needs and wants, on and off the court. We are a family here at Diamond Sports and take the time to get to know each and everyone of our clients personally and professionally, we are your team and we help you achieve what you believe..
Charles Barton Jr. joins Kangoeroes Mechelen! Brian Fitzpatrick joins Boras Basket! Greg Gibson signs with Hubo Limburg United! Diamond Sports is more than just a sports agency, it’s a family. From the moment that I signed with them, they made me feel like I was a part of their family. As a professional basketball player, dealing with team business is the last thing you want to do while trying to focus on the court. I can always rest assure, knowing that they have my best interest in mind when representing me. The decision to work with Diamond Sports was one of the best decisions I've made in terms of choosing representation. They are very professional and always look out for the best interests of their clients. They keep constant communication with you regarding all of your options and strive to find the ideal situation for you. I've been with many other agencies and none work as hard as Diamond Sports. Diamond Sports for me has always been more family than a sports agency that represented me. Elias (Lou) is a hands on agent that always tried to find the best situation for me the player and doing that allowed me to have a successful career and also allowed me to make a lot of money. This isn't like most agencies for the simple fact Lou cares about each individual player as if he or she were his own son or daughter and that allowed me to never stray away and take the bait of other larger agencies that promised the pot of gold at the end of the rainbow. With that said Diamond Sports Agency is and was the best choice I made in my career. In 2007 when I wanted to change my agency, I wanted to cooperate with someone who will respect me as a person and as a player, help me achieve my dreams and my goals. After long talks with Lou Diamantopoulos over the phone I accept to be partners. When I met him for the first time in his country, Lou and his family showed me love and respect. They weren't only my agency, they opened the door of their home for me. During the hard moments of basketball and with a lot of problems, which may occur in this business, my agency always stayed on my side and protected my interests. Lou was treating me like a son and having talks with me not only about basketball but about everything in life. So, all these years's that we cooperate together I am thankful of that, and it's very rare to find this, so I could only respond with respect back and be loyal to my family. After working with multiple agents and in various markets in Europe, I can say without question that Elias, Lou and Diamond Sports Agency are in a league above the rest. Since working with them I have signed the best contracts and played in the best situations in my career. The individual attention that they show their clients, the speed and effectiveness with which they work, the countless close relationships they have with coaches and GM's all over Europe and the relentlessness they show in pursuing the best opportunities for their players are major factors in what's made them elite; but without a doubt the most important and appreciated characteristic that they possess is the familial approach they bring to their business. They've treated me not just like a client but like a member of their family from day one, and that has led to a working relationship that goes beyond the normal player and agent. Working with Diamond Sports has exceled my career in all kinds of ways! Through the years I have had great service and attention that kept me more than satisfied. The family environment and care along with professional work ethic is unmatched and really makes them stand out. I have been fortunate to have been represented by them. Working with Elias and Diamond Sports agency has been a breath of fresh air for both my family and basketball career. Before working with the Diamond Sports family, my career was at a stand still. I played in the G-league two seasons prior transitioning overseas. Playing overseas was where I wanted to further my career, but I had no overseas offers. I was unsure about what was next for me. At that time I was without representation and was looking for a new home. A mutual friend introduced me to Elias and the Diamond Sports family. I couldn’t be happier with my decision to partner with these guys. Since partnering with the Diamond Sports family we’ve been able to accomplish so much in such a short period of time. I’m now in my second season in Europe. I’m very confident in our partnership and excited to see what the future holds for us. The communication has been great and the work from the agency has been very consistent and reliable. As a player you can’t ask for anything more than what Diamond Sports represents. Career Planning, Contracts Negotiations, Dietary & Strength Conditioning Programs, Personal Relationships, Marketing and Legal Assistance are just few of our services.